SKU: POWER MATE LITE. Category: Sustainable Products. Tag: Energy saving. 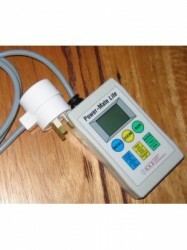 The Power-Mate has been a very popular meter over the years but it is out of the price range of many people. 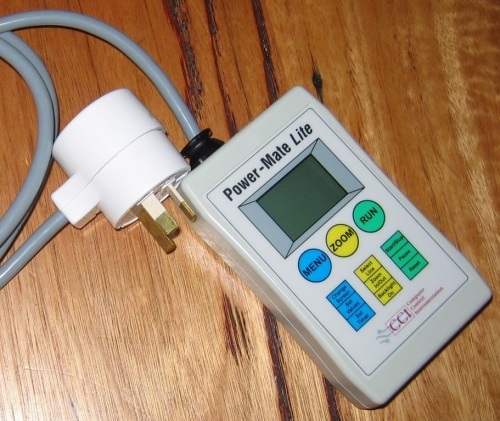 The manufacturer has addressed this problem with the Power-Mate Lite – their new meter aimed specifically at the domestic market. With its unique ‘piggy-back’ power plug, you can even access those difficult to get at power points. non-volatile memory, so the meter resumes after a power interruption without loss of data. As well as instantaneous power, it displays energy used and, from this, it calculates the cost, greenhouse gas production and even extrapolates these to figures per hour, quarter and year. 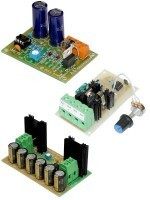 For the technically minded it also provides figures such as power-factor, frequency and VA (volt-amperes). Accuracy error for all ranges is better than 2%, (typical accuracy error is better than 1%) – each meter is individually calibrated. You can also start and stop (or pause ) a measurement period. It even allows you to select from a series of “Run” times (1, 8, 12, 24 hours; 2, 5, 7, 14, 28 days) to allow you to measure devices that turn themselves on and off (e.g. fridges, freezers, washing machines) during the course of their operation. The Power-Mate Lite will display up to 10 amps of load, meaning it can measure all common loads in the average home or small office. Click here to download the Power-Mate Lite User Manual in PDF format (218kB).